One of the best parts about any holiday—be it Christmas, Thanksgiving, a birthday, Diwali, Columbus Day, whatever—is that you get an excuse to eat some of your favorite foods. For me, that means chocolate. Now, I’m generally not a big chocolate eater during the year, but when December rolls around it’s totally game on. The chilly weather and holiday spirit just make me crave it for some reason. That craving means I’m whipping up old favorites like chocolate peppermint bark cookies, truffles, and homemade hot chocolate. It also means it’s time to make these adorable cookie-fiend favorites: chocolate crinkles. These chocolate crinkles are a holiday staple in winter, but are great any time of the year. Soft, devil’s food-like cake-y cookies are rolled around in powdered sugar. When they bake the dough rises and the chocolate dough peeks out in little crinkled fissures beneath the white sugar. Crinkles are easy-peasy to throw together and make for a flashy addition to any cookie platter. A warning though: these cookies are so good and chocolaty they may not make the hot cocoa cravings go away. In fact, they might just make them worse. This is a sticky dough, no doubt about it. Chilling it at least four hours before shaping the cookies really helps. Work fast and wash your hands between each tray that goes in the oven. Roll several cookie dough balls at once and then dredge them in sugar together so there’s less time for the dough to thaw. A small cookie scoop helps speed things up. These cookies freeze well, either unbaked or baked. Freeze the unbaked balls of dough without powdered sugar on a sheet pan until solid, then transfer to a freezer bag or container. Let the dough balls thaw for a few minutes on the counter while the oven pre-heats, then roll in powdered sugar and bake. You may need to add an extra minute or two onto the baking time. Double Chocolate: Add a cup of mini chocolate chips. Updated December 18, 2018 : We spiffed up this post to make it sparkle. No changes to the recipe. If you want, you can jazzify these cookies in a number of ways. Add some cinnamon to powdered sugar. Roll the cookies around in colored sprinkles or sugars. For something a little more exotic, pulse the powdered sugar in a food processor with 2 teaspoons of Earl Grey, chai tea, or matcha powder. 1 Beat together cocoa powder, white sugar, vegetable oil: In the bowl of an electric mixer fitted with the paddle attachment (or beat by hand with a wooden spoon) beat together the cocoa powder, white sugar, and vegetable oil until it comes together into a shiny, gritty, black dough of sorts. 2 Add eggs, one at a time, add vanilla: Add the eggs, one at a time, mixing for 30 seconds each. Add the vanilla and beat in thoroughly. 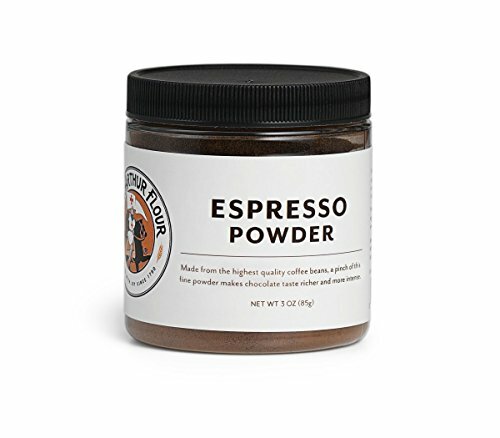 3 Whisk together flour, baking powder, salt, espresso powder: In a separate bowl, whisk together the flour, baking powder, salt, and espresso powder if using. 4 Beat dry ingredients into cocoa oil mix: Mix into the chocolate mixture on low speed until just combined. Do not over-beat. 5 Cover and chill: Cover the dough with plastic wrap and chill the dough for four hours or overnight. 6 Get ready for baking: Preheat the oven to 350°F and line two baking sheets with parchment paper. Place the powdered sugar in a wide bowl. 7 Roll the cookies: Using a rounded teaspoon, scoop out clumps of the chilled dough and roll them into 1-inch (2.5 cm) sized balls using your hands. Do several at a time and drop them into the powdered sugar as you go. The dough will be quite sticky, so it's useful to roll the dough in batches. Roll the balls in the powdered sugar and place on the cookie sheets spaced a few inches apart. (You should be able to get 12 to 16 on each sheet). 7 Bake: Bake at 350°F for 10 to 13 minutes. Allow to cool a minute or two on the sheets before transferring to a wire rack to cool completely. Repeat with any remaining batter. 8 Store: Store these cookies in an airtight container on the counter. They will keep for at least a week before starting to become crumbly and dry. Hello! All photos and content are copyright protected. Please do not use our photos without prior written permission. 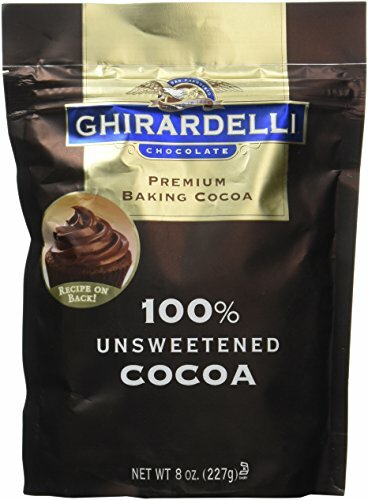 If you wish to republish this recipe, please rewrite the recipe in your own unique words and link back to Chocolate Crinkles on Simply Recipes. Thank you! Great recipe! I chilled the dough for 1 hour and it set well! Added instant coffee instead of espresso powder and mixed the icing sugar with some cinnamon. Delicious! They were great !! They were chewy and not too sweet. I’ve made these for the past three Christmas’ and they just seem to get better each and every time! It’s like a cake brownie bite that just melts in your mouth! Thank you so much for sharing this recipe! These cookies are delicious. Great recipe. I did not add the optional espresso powder and next time I will add 1 cup of chopped walnuts. Brownie lovers delight! Chilled dough for 4 hours and when I roll them, they stick all over my hands!! HELP!! What a mess. I read comments and tried chilling my hands, no luck. Hi, Penny! This is a sticky dough, no doubt about it. Chilling the dough does help, but here are a few more tips: work fast and wash your hands between each tray that goes in the oven. Also roll a few dough balls all at once and then dredge them in sugar together so there’s less time for the dough to thaw. Hope this helps! I add chocolate chips to the cookies and bake them for 10 minutes exactly and this results in a extra chocolate, gooey insides. So yummy! These were amazing! My husband and I can’t get enough of them. They stay soft for days too. I will be making these regularly unfortunately that means more gym time. 1) Can I use a cookie scoop to form these? 2) I’m wanting to fold in crushed peppermint bits. Would that work well with this dough? Hi, Sharon! Yes, I think this would work great using a cookie scoop. Just roll it between your hands to smooth out the edges. And YES I think crushed peppermint bits would be marvelous. Enjoy! Here’s a pic of my Peppermint Chocolate Crinkles. I added a package of Andes soft peppermint baking chips and replaced part of the vanilla extract with 1/2 tsp of peppermint extract. Outstanding! Fantastic! I’m so glad to hear it. Happy Holidays! What type of cocoa powder did you use, natural or Dutch processed? Thank you! Hi Sara, natural. Thank you! I’ve updated the ingredient list to be more specific. I did make these with a few alterations. I added 1 cup of semi-sweet mini chocolate chips and I added cinnamon to the icing sugar. It was delicious! Beautiful cookies! I subbed melted butter for the vegetable oil and left them in the fridge overnight. My oven is in Celsius and only dials in 10-degree increments, so I tried baking them for about 14 minutes at 170 degrees Celsius. Overbaked the first batch but the second batch was wonderful! Beautiful crinkles, light texture, and rich chocolatey goodness! 2. Don’t overbake or the powdered sugar will melt and the cookie will become dry! I checked on them often after the 8 minute mark and baked them at 170 degrees Celsius for 10~12 minutes. Still worked just fine, though my oven isn’t calibrated and results may differ according to climate. 4. The taste can be a bit bland, even though it’s sweet and chocolatey. I added cinnamon powder to my powdered sugar and it was great! Far better than just plain powdered sugar. I’m considering stirring in chocolate chips next time I make these. Or maybe some sea salt sprinkled on top? In any case, wonderful and easy holiday cookies. Will make again and again! Disappointed. Followed recipe exactly. Chilled overnight. Dough was very crumbly hard to form a ball. Will try again using melted chocolate instead of the powder. Just made these and they are delicious! Followed the recipe except used olive oil and only chilled for a few minutes but still turned out great! Has anyone tried these with peanut butter in the middle? How’d they turn out? My fiancé asks me to make these all the time! He loves these cookies and I will be adding them to my holiday baking this year as well. it’s best seller in my part! great for parties, gifts, for potlucks, and kids snacks one thing I noticed it’s better if you cook it when it’s really chilled . it flattens when it’s not cold anymore. Just made these. Followed the recipe exactly. One thing though, is I made some bigger ones and some smaller ones. I think smaller cookies make for a better eating experience! Like each one should be two small bites. I have made these for years and they are always a hit! I have to make 2-3 batches at once because my husband is so obsessed with them. My husband even had me send them to him when he was on a Deployment. Have you ever made them with a little less chocolate and then used food coloring?